​This guide will present you with the most commonly used, and effective remedies for excessive snoring and mild to moderate cases of obstructive sleep apnea. ​In this guide you will learn about causes and consequences of snoring, three best device types for treating snoring, the comparison table of best anti-snoring mouthpieces most commonly used as alternative to the more expensive CPAP machines. How To Choose Snoring MouthpieceThat Will Work For You? What To Do If Multiple Issues Are Causing Your Snoring? What to look for in TSDs and MADs when buying? Those looking to try a stop snoring mouthpiece or mouth guard but not sure which one to buy. Those looking for information on snoring mouthpieces and how they work. Those looking for snoring remedies and ways to stop snoring fast. WARNING: If you think you have obstructive sleep apnea (OSA), you should go talk to your doctor. OSA can cause high blood pressure, heart failure, and atrial fibrillation (abnormal amounts of heart beats), amongst other things. The more severe levels are dangerous even in the short term. Hey there, I'm Robert, founder, and editor here at Snore Nation. I used to be a heavy snorer and only after my wife kicked me out of the bedroom I realized the seriousness of my snoring problem. I decided to take control of my life and started my research. I'm on a mission now to share my insider tips with all of you... Read more about me her﻿e. I’ve been trying, researching and reviewing a whole lot of mouthpieces and other snoring remedies for many years now and it continues as an integral part of my daily life. In my experience the best way to improve your sleep and prevent snoring FAST is by using a snoring mouthpiece that has been designed for the perfect fit. The following list of anti-snoring devices are highly rated amongst users, have had a successful performance rate, positive consumer reports, and did work, in one way or another in my own tests, reducing or stopping the snoring completely. In line with my commitment to highlight and bring only the best snoring solutions to you, year after year, I’ve further updated my recommended anti-snoring mouthpiece's list. It reflects the best stop snoring devices available in the marketplace today, in terms of effectiveness, quality, price and user-friendliness. Here is quick comparison I prepared of the best snoring mouthpieces we will discuss below. **Below, you'll find our more detailed reviews, but you can also click the links above to go straight to manufacturers website. Which one you will work for you? It depends on what is causing you to snore and what feels most comfortable in your mouth and the position you tend to sleep in. Before choosing the right solution for you we need to find out why you snore by performing a simple snoring tests I prepared for you below. The SnoreRx is also one of my favorite MAD snoring devices, and it certainly looks like a more advanced product than others. It offers calibration in 1-millimeter increments to achieve a comfortable fit. Also, the 30-day money back guarantee makes it a great product to try! Quality mouthpiece that definitely looks and feels like a more advanced product. Great value for the money that will last from 12 - 15 months. Boil-and-bite mouthpiece with a calibration in 1 millimeter increments to achieve a most comfortable fit. 30 Day Money Back Guarantee and very fast customer support, including a toll free number on the website! Adjustable through small 1mm increments for a perfect fit. More comfortable to wear compared to other similar snoring solutions / devices. Long life span : 12 to 15 months. It can take some getting used to like most similar devices. Money back guarantee doesn’t pay for shipping costs. Cannot be worn by people with dentures or loose teeth. The price starts from: NOW Only $99.- ($129) for a single mouthpiece and $154 for two devices. Safe, affordable, comfortable & effective snoring mouthpiece designed by Dr. Leslie Dort a well‐regarded sleep researcher from the University of Calgary. I'm a tongue base snorer myself and GMSS worked for me wonders and I'm still using it to this day. I think it’s the best TSD stop snoring device on the market today and would definitely recommend it. It also comes with a 90-day money back guarantee so you got nothing to loose. 90 Day Money Back Guarantee and very a helpful support team that will answer your questions. Cleared for use by the U.S. FDA, Australian Department of Health and Aging, Canada’s Therapeutic Products Directorate and the EU. Extremely comfortable to wear compared to others and can be worn by snorers with dentures, bridgework, caps and crowns. Soft BPA and latex free material. Long lifespan because you don’t have to bite down on it. The company is BBB accredited (A+ rating), meaning the company will respond well to complaints. Can cause drooling at first, which is common with most snoring devices. Some soreness can be experienced on the tip of the tongue at first but this usually fades within a short time as you get used to device. You have to breathe through your nose. Must not be used if your nose is, or is at risk of becoming, blocked at night. In the event of returning the item you still have to pay the shipping and postage charges. The price starts from $99.94 for a single device and $149.94 for a family pack of two devices. You get two options to test which calibration reduces your snoring the best. Easier to swallow with this mouthpiece then other larger, bulkier products. You have 30 days to return the device and avoid being charged full price. Email and phone support only. Quick and easy to start wearing. Minimal invasiveness, low profile design. Easier to close mouth and swallow during sleep then other MAD's. Supplied by a leading name in the snoring industry. Must pay for return shipping plus trial price for returns. No boil-and-bite does not give as custom fit compared to other MAD's. Thin materials may wear out quickly. $9.95 for a 30 day Trial. The AirSnore™ Snoring Mouthpiece is a very popular choice due to its low pricing point and in my opinion, is one of the best snoring (MAD) devices on the market. It has a simple design - adjustable through boil-and-bite and comes with AirSnore™ Drops - all natural oil blend for even better sleep. It is cheap, and has a 60-day money back guarantee, so trying this product out is a must for any snorer! Best value for the money you can buy and it will still last from 6- 12 months. Boil-and-bite method lets you achieve a custom fit but can be tricky to mold on a first try. 60 Day Money Back Guarantee and excellent support that includes Live Chat on the website and toll free number! Quick and easy to fit to your mouth and start using. Low pricing point. It is one of the most competitively priced jaw advancement devices on the market. Manufactured and supplied by a trusted and leading name in the health industry. Designed and manufactured in FDA approved facilities to the highest standards using the highest quality ingredients and materials. May be risky to use if you have missing teeth, dentures or other implants in your mouth. A doctor’s or dentists advice is recommended before using AirSnore in these situations. Not FDA approved (only its facilities are). The price starts from: $49.95 for a mouthpiece and $89.95 for Combo (Mouthpiece + Drops). The one-piece design of the SnoreMedic gives you control of jaw advancement levels during the boil-and-bite. The simplicity and low price of the SnoreMedic make this is a device worth trying. It's a cheaper device, but I found it to be more challenging to sleep with. Various from snorer to snorer. Mouth breathers will do well with SnoreMedic. Cheapest price for a MAD of our top six devices. Easy to mold, but harder to sleep with. Simple to mold and align. Fixed jaw advancement once mold is complete. Same design as competing products, but cheaper. Harder to swallow during use. 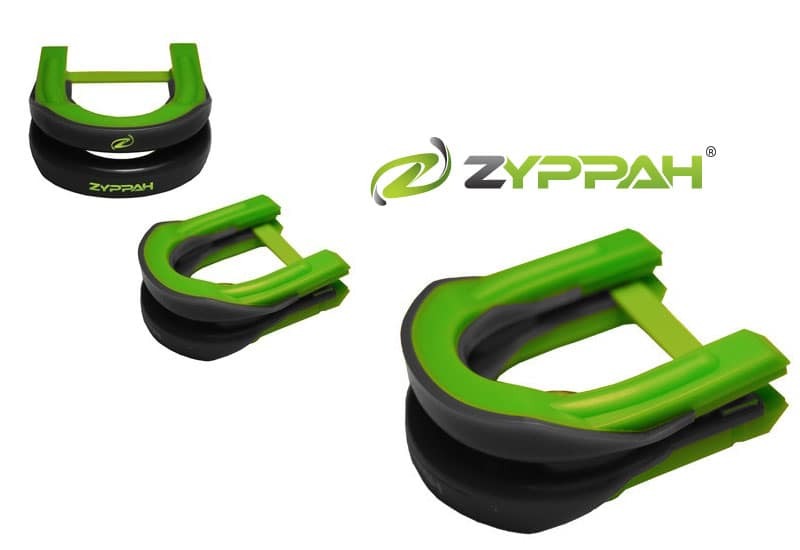 Zyppah is a combination tongue restraint and mandibular advancement device. Highly popular, this device has the key technical features built-in that are proven to reduce snoring. Jaw advancement cannot be calibrated. Can be effective due to the tongue restraint built-in. A costly device due to its popularity. No discounts or promotions. Longer adjustment period due to the tongue restraint. 90 Day return policy. Many online reviews of customer support issues. Long adjustment period. Have to wear days or weeks to see results. Tongue restraint makes swallowing harder. Price starts from $99.95 for Single Device. Below you will find a comparison table of all snoring mouthpieces we looked at, compared and tested. Price includes two mouth pieces. Allows mouth breathing​. Should be OK, though recommended to ask your dentist. MAD where lower jaw advancement is set with custom mold. Comes in three sizes. Requires a prescription​. Boil-and-bite, and Adjustable through small incrementations, one size fits all. But must be fitted by your dentist. Adjustable MAD. Small and regular sizes, both are micro adjustable for better fit, after boil-and-bite process. Can be worn with partial dentures, though consult your dentist. Tighter fit than "EasyFit" and bigger breathing hole, allowing more room for tongue. The mouthpiece is made in a laboratory using an impression mould of your teeth. Should be, though consult your dentist. Boil-and-bite, 2 sizes, holes for breathing. Yes, though conclusion was don't use it if you have mild to moderate OSAHS. Recommended to let dentist do the fitting. 2 piece MAD so you can mold them separately. Boil-and-bite though a bit more complicated (cutting off edges for instance). Adjustable after with screw driver. That Will Work For You? First, You Need To Understand Why You Snore To Find The Right Solution For You! It is vital that you understand the cause of your snoring before you start throw money away on number of anti-snoring devices and then find out that they do not work. Each device is designed for a specific type of snorers. For example if you are an open mouth snorer and you buy a set of nasal strips or a tongue retaining device in the hope to stop your snoring, guess what will happen?! You probably will swallow that same nasal trip in your sleep as you still be snoring with your mouth wide open. Now try to make the sound of snoring! If you are unable to make a snoring sound with your tongue in this position, you may be suffering from what is known as “tongue base snoring”. Bad news - there are not many snoring solutions available for this category. Good news - the ones that are can really solve your snoring problem pretty fast! 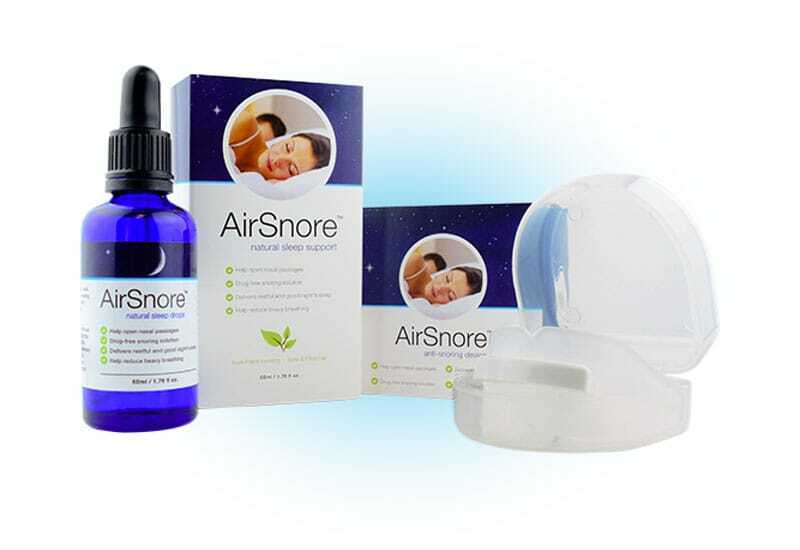 AirSnore™ Mouthpiece - Especially effective when used together with AirSnore™ Drops (all natural essential oil blend). Using a chin strap also can help to some extent but due to slippage and discomfort issues it is not as effective as using a snoring mouthpiece.​ And from my personal experience I would not recommend it. I found that they are generally very uncomfortable and can slide off easily in your sleep. Note: But if I have to be completely honest with you​, I have not yet found a nasal strip that is capable of preventing snoring on its own. In my experience nasal strips can be a good compliment when used together with another snoring solution, but that's about it. When you conducted your tests you might have discovered that you have more than one issues that are causing your snoring problem. That's OK. This is not that uncommon and most likely is caused by the tissues of the soft palate and the uvula at the back of your mouth. The uvula is the small nob of tissue you can see hanging down at the back of your mouth. If there is more than one cause of your snoring, the mouthpiece that repositions the tongue by pulling it slightly forward will still be the best way to go. It will maximise the space available in your air passage way. Keep reading to learn more about snoring causes and effects on your health and types of mouthpieces most commonly used to effectively stop snoring. It is important to know the causes of snoring to use the right tool to tackle your snoring problem. Snoring is caused by the partial blockage of airways, which can happen anywhere from the nose to the throat, or near the back of the tongue. The blockage can happen while awake, and worsen during sleep. When you are sleeping your muscles are more relaxed, making it easier for the airflow to make the softened tissues vibrate; tissues gradually become softer as deeper sleeping stages are achieved. Breathing through your mouth: Mouth breathers are more likely to snore since when breathing, the airflow directly hits the back of the throat, which can cause the tissues there to vibrate. On the other hand when breathing through your nose, air passes along the curved region above the soft palate, going directly into the throat without causing much turbulence. About half of all snorers have some degree of obstructive sleep apnea. The consequences of OSA will vary depending on the severity. Women are diagnosed with OSA (Obstructive Sleep Apnea) significantly less than men mainly due to a set idea of what a snorer looks like (middle-aged, at times overweight, man), and because their symptoms might be different. For instance, women with sleep apnea can get headaches, or it could affect their mood, which is not as common amongst men. Recent studies have found that the ratio of prevalence of men to women who have obstructive sleep apnea or who snore is actually around 2 to 1. Some will say this ratio is also affected by the under- or miss-diagnosis of women. These three devices have been proven to be effective in treating mild to moderate Obstructive Sleep Apnea through clinical trials, and many different governments have approved their use; though it will depend on the model and company. The devices are the mandibular advancement devices (MADs), the tongue stabilizing devices (TSD), and the nasal EPAP (Expiratory Positive Airway Pressure). Try ﻿The﻿ Simple Snoring Test Above To Find The Right Device For You! Proven to work starting at the first usage. They are long lasting and relatively cheap compared to any CPAP machine and the majority of models included in our table do not need to be acquired with a prescription, or need to be custom fitted, further decreasing their cost. Having something in your mouth may feel awkward at first, but once you find the «right» one and you get used to it you’ll be comfortable wearing it every night, which allows for long term usage. What follows is an overview of these three devices: how they work, how to use them, and their most common (minor) side effects. *According to the amount of people who have used it, their feedback and reviews, our experience and because they have all been approved by the government and have had clinical trials. MADs keep your jaw pushed forward, as if you were awake. Since snoring and OSA happen when the airways in your throat get blocked, pushing the jaw forward allows more space for air to circulate at the back of your mouth for two reasons. First, the back of your jaw is directly connected to your throat, meaning that pushing it forward will open up space there. Second, when your jaw is pushed back and there is less room for air to pass, your tongue can act as a clog for the small airway that is left, therefore making you snore. MADs also decrease teeth grinding by locking your jaw in position, and because they separate your lower jaw’s and upper jaw’s teeth. Many MADs have breathing holes in them that allow you to breathe through your mouth. This is convenient since you will be able to use your MAD even if you have a stuffy nose from the flu for example. The most common minor side effects are: jaw soreness and excessive drooling. But both side effects usually decrease over time. Clean your mouth and brush your teeth before using the device. Most MADs are boil-and-bite. Meaning you will need to place the device in hot water a few seconds, take it out and wait for it to cool, and then bite on it moving your lower jaw slightly forward in order to give it your mouth’s, and teeth’s shape. Usually you will be able to re-mold the device a few times, though not always. Adjustable MADs also allow adjustments to be made after haven given it your mouth’s imprint, usually in small increments of about 1mm. This way you may adjust how forward you want your lower jaw to be without having to repeat the boil-and-bite process. Finally there are some MADs that are ready-to-use, usually giving you the option between a few different sizes. To clean use cold water, toothbrush, and toothpaste. Let it soak in a denture cleaner once a week. As previously mentioned, when the back of the jaw partially blocks the throat’s airway, the tongue can obstruct the remaining air path making you snore. TSDs only target the tongue, retaining it as to not let it fall at the back of your throat, allowing you to breathe normally. TSDs then require you to breathe through your nose, though with time you would get used to it. Since you breathe through your nose, you can’t use it when you have the flu or a stuffy nose. TSDs also decrease teeth grinding. Their most common side effects are: excessive drooling and tender tongue. Though these side effect may decrease or disappear completely over time. This way, the device should be sucking in your tongue. The company AveoTSD offers three sizes, while Good Morning Snore Solution (GMSS) only has one. Both companies have had good customer feedback and reviews, though GMSS seems to be way ahead and after researching looks like it is the most popular device on the market at the time of writing this. You can read our Good Morning Snore Solution review to learn more about this device. To clean, rinse in water, and clean using a denture cleaning solution or tablet once a week. You don’t need to use a toothbrush because TSDs do not have any small cavities like the ones left by your teeth in a MAD. By partially blocking your nose with a sort of tape (Theravent), pressure accumulates in the airway in the throat when you exhale, thereby expanding the airway, and reducing snoring and OSA. Even though it seems to be a bit less effective in general than the two other products, given the clinical trials and the reviews online, it is a really simple solution that doesn’t take any time to adjust to. In the long term though, costing about a dollar a day, it will usually be more expensive than a MAD or a TSD that would last you 12 months or more. To use it, simply apply the product (resembling tape) onto your nostrils. Use each piece only once. Government approval: reduces the chances of it being a bad or unreliable product. Comfort and adjustability: Just because some MADs are boil-and-bite, rather that boil-and-bite and adjustable doesn’t mean the latter is more comfortable. Cost: it is important not just to look at its price, but also its life expectancy, and return policy. How long can the mouthpiece last? The average lifespan of the mouthpiece will vary depending on the manufacturer but usually it is a one year window. With careful handling and normal wear and tear the appliance can last much longer, but should be replaced as soon as diminished function is noticed such as: worn spots, spotting, or tears. Can I use them with dentures? TSDs yes, MADs usually not, though it will depend on the model. See our mouthpiece comparison table to find the ones that you can use with your dentures. Do TSDs and MADs stop teeth grinding? Are there any dangers of chocking on the devices? Can children wear TSDs and MADs? No. Talk to your doctor if you think your child could have Obstructive Sleep Apnea (OSA). Can the boil-and-bite process be repeated? For most models of MADs, you can usually re-mold the device anywhere between 2 to 4 times. Some models don’t allow for it. Can a mouthpiece or mouth guard replace a CPAP machine? Many users and patients have had luck in using a mouthpiece in place of a CPAP machine in cases of light to mild sleep apnea. Individual evaluation should be considered when a long-term substitution is needed. For temporary use, such as a vacation or loss of the CPAP machine, an oral appliance definitely can be a good substitution. Can people with sensitive gums wear a mouthpiece? Careful consideration should be given by a medical professional to evaluate if any risks or complications would develop from using a mouthpiece, as this is a case-by-case basis. Generally no, but its best to have your doctor give the green light on this. Sanitation will be key with cases of gingivitis or inflamed gums to not aggravate the situation. What if I am not happy or it doesn’t work for me? ​This is the reason you should chose the product that offers a full money back guaranty like Good Morning Snore Solution or AirSnore. But still, it's recommends trying the device for at least a week or two to experience the full range of benefits before making that call. How can I clean the mouthpiece without damaging it? There are many commercial denture and orthodontic appliance cleaning solutions on the market. From Big-Box stores to supermarkets, they will be in the oral health care section. There are Dentist Certified Cleaning solutions in tablet or liquid forms, which usually require a 10 minute soak in a prepared solution. Thoroughly rinse with cold water by immersing fully then doing a 30 second swish in the formula. Air drying is important. If stubborn residue is not being removed by swishing, a light scrub with toothpaste and water can help remove debris. Then clean as normal. Are there any chemical free home remedies for cleaning my mouthpiece? If the price is prohibitive, or the fear of chemicals makes a more natural solution attractive, there are several environmentally friendly stain and food particle removers that can be prepared at home with simple ingredients. Bleach - Dentists may recommend a bleach and water soak to kill and bacteria on the mouthpiece. Soak the appliance overnight in a denture cup filled with water and one teaspoon of bleach. Peroxide - Soaking in peroxide will help lift stains and sterilize the oral appliance, while providing an inexpensive cleaning agent. Pour a full strength cap in the middle of the mouthpiece, let it soak for one minute, then rinse well in cold water and then air dry. Baking Soda and vinegar - This mixture will foam like the store bought tablets. Place a teaspoon of baking soda in the bottom of a denture cup, then add enough white vinegar to cover the appliance completely. This requires an overnight soak, then rinse and pat dry. Is there clinical support for a mouthpiece as an anti-snoring device? Mandibular advancement device (MAD) represents a therapeutic option for simple snoring to obstructive sleep apnea syndrome (OSAS). The different available studies report an improvement either on nocturnal respiratory events or on the quality of sleep. The decrease in the intensity of snoring is confirmed by the patient’s partner and by objective studies. “Principles of mandibular advancement device applied to the therapeutic of snoring and sleep apnea syndrome,” Petitjean, Chammas, Langevin, Philit, and Robert, Laboratoire des Troubles Respiratoires liés au Sommeil, Hôpital de la Croix-Rousse, Lyon, France, Sleep, June, 2000. “Ten-year follow-up of mandibular advancement devices for the management of snoring and sleep apnea,” Jauhar, Lyons , Banham, Cameron, and Orchardson; Department of Restorative Dentistry, Glasgow Dental Hospital, Glasgow, UK, Prosthetic Dentistry, April, 2008. “Oral appliances for the treatment of snoring and obstructive sleep apnea,” S.R. Schoem, Connecticut Children’s Medical Center Dept. of Otolaryngology, Hartford, CT, Otolaryngology – Head and Neck Surgery, February, 2000. Oral appliances have become established treatment devices for snoring and sleep apnea. Substantial scientific evidence has demonstrated that mandibular repositioning appliances (MRA) are effective. Patients prefer oral appliances above most other treatment options. In recent years a steady stream of reports on MRA has been published. This article gives an overview of the state-of-the-art. “State-of-the-art in the treatment of snoring and sleep apnea” (translated from Dutch), H.J. Remmelink, Ned Tijdschr Tandheelkd, January, 2003.